Stuart Turner Pumps – Stuart Turner is steeped in tradition having been formed way back in 1906, as an aspiring inventor and engineer. In early days starting as a steam engine hobby to stationary gas, petrol engines to Stuart lathe and model boat hulls. In modern terms Stuart Turner have built Stuart Turner Pumps which have been in wide circulation throughout Ireland since the beginning of the millennium. 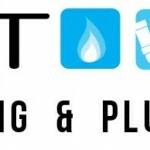 We at NT Heating & Plumbing have been servicing Stuart Turner Pumps since the foundation of our company. As they say, ‘we have seen it all’!! We can, in most instances repair your Stuart Turner Pump on the same day, we also have a catalogue of spare parts and new Stuart Turner Pumps in our Dublin 24 workshop and stores. So, help is on hand and very quickly at that. We also service all types of pumps and boilers, including Stuart Turner Pumps. And the importance of servicing your boiler has been stated on our blog, again, we offer servicing of Stuart Turner Pumps. Many landlords, apartment owners and home owners schedule annual boiler servicing with our company as they understand the importance of having an efficient boiler, which, if serviced annually will extend the boilers life and its efficiency. Ultimately saving you money in the long run. So, get your boiler serviced! Twin Negative Head Pump M330N, M550N. Stuart Turner Showermate Positive Head Pumps ST55,ST66. We also offer a 12 months warranty. Remember, Boiler Repair Dublin covers all types of heating and control systems in Dublin, Wicklow, Meath, and most counties in Leinster, so feel free to call the team on 01-5397223, email: info@boilerrepairdublin.com or fill out the Stuart Turner Pumps make an appointment form.